HIGH The world design is excessively vertical and clearly built for flying. LOW Literally every second spent not flying. Well, it happened again — another RPG loot-shooter promised to fulfill my desire to mindlessly blast enemies in a beautiful environment on a daily basis, and once again, it fell flat on its face. In the world of Anthem, players act as guns for hire called freelancers. Once a noble group known for suiting up in “Javelin” mechs and defending humanity from the chaotic, enigmatic power of the Anthem, a cosmic-world creating force used by “The Creators,” freelancers lost favor in the public eye following a cataclysmic disaster. More on the story later, but let’s put it aside for now. After selecting one of a few preset faces they’ll never see again, players are thrown into this disaster as a tutorial and it’s a pretty strong hook. The character and world are stunning to see in motion, but more importantly, I got my first taste of third-person flying in a javelin. These opening hours had me stoked to see where Anthem went. It’s a damn shame then that Anthem’s beauty and flight are all it has going for it. Time spent on the ground means being bombarded by incessant loading screens and bugs, and feeling disappointed with boring loot, a one-note story and repetitive missions. There are four playable javelins — the jack-of-all-trades Ranger, the zippy melee Interceptor, the mage-like Storm, and the tanky colossus. All play differently enough with a handful of interchangeable pieces of gear that provide abilities like grenades, melee strikes and area-of-effect attacks, but this brings me to my first handful of complaints. 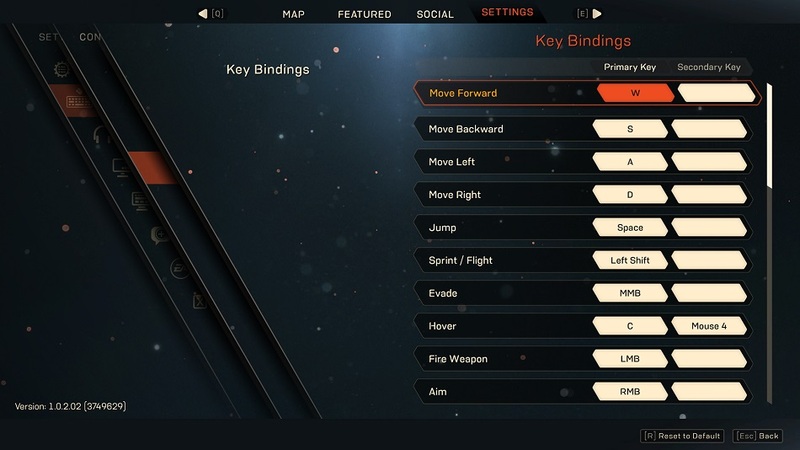 Since this is a loot-shooter where dropped gear should be exciting and give players a way to distinguish themselves from one another, Anthem fails hard in this core aspect. In this genre, cosmetics are key, but in Anthem, the biggest changes players can make to their Javelins are in regards to their paint jobs. All cosmetic changes to armor, excluding paint jobs, must be purchased from the in-game store which only features a handful of items renewed every two days and cost an obscene amount of in-game currency. For those who don’t want to grind that much? They can be had for real-money microtransactions at about $5-$10 for a complete set. Mechanics are just as important in loot-shooters, though, and after just a few hours, players will have seen almost everything since there are only around three guns of each type (three assault rifles, three shotguns, and so on) and even in the endgame when I was getting hyped-up “Masterwork” items, they looked and handled exactly the same as the ones I picked up more than twenty hours prior, the only difference being stronger random stat boosts. The same goes for grenades, missiles and elemental attacks with new numbers. abilities. My final, most efficient builds were almost identical to the starting ones, just with bigger numbers. Beyond that, there’s no way to reroll stat boosts and numbers on any gear. I would often find a shotgun, for example, with decent damage that would have something like a 10% boost to sniper ammo and -5% to shotgun damage, making the thing effectively useless. There don’t seem to be any restrictions on what stat boosts are modified on weapons or gear, and not having the ability to tweak these numbers when finding endgame weapons is miserable. It takes hours and hours to grind the resources to craft or a drop of the only gear in Anthem that players are told matters, and when players get a bad set of stats, they just have to live with it or go try to grind out another one. This awful situation is made worse by the fact that the needed gear and resources are only available in missions called strongholds that must be repeated ad nauseum once they’ve beaten the bland 18-ish hour campaign. Where Anthem’s #1 competitor Destiny has countless strikes, raids, PvP and variations of each to play after the story, Anthem only has three strongholds. Two of these strongholds are just repeated story missions, and while the third features a new area, it concludes with a repeated boss fight that’s only different in the sense that it now has a shield. They all feature the same tedious mission design as the rest of the campaign, as well — fly to point A, shoot bad guys on the way, stand in a circle at point A, shoot bad guys while standing in the circle, fly to point B and repeat. Not only does this get old due to sheer repetition, it’s unengaging from the start. 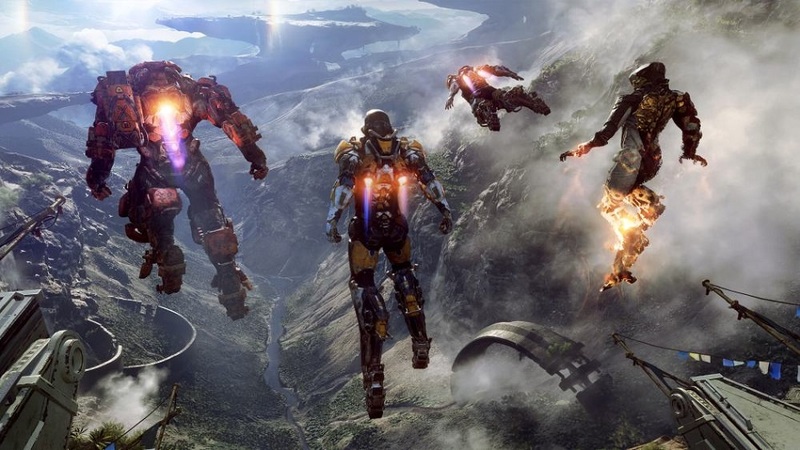 Some of the best moments in Anthem are had by flying around with a melee build, but when confined to a circle, close-range attacks can’t be used unless the whole squad feels like waiting for enemies to come to them. This limits the action to gunplay, which here is passable at best and boring at worst. Putting all issues with design aside, the biggest problems in Anthem are the loading screens and bugs. Anyone playing Anthem should probably prep a good mobile game or workout routine to occupy the time spent waiting. Everything players do seems to be met with a loading screen commonly longer than a minute, and each mission requires at least six loading screens. Getting into the hub world, entering the loadout screen, getting to mission select, entering actual gameplay, the end mission screen, and loading back into the hub world all bring an extended halt to play. And the bugs! 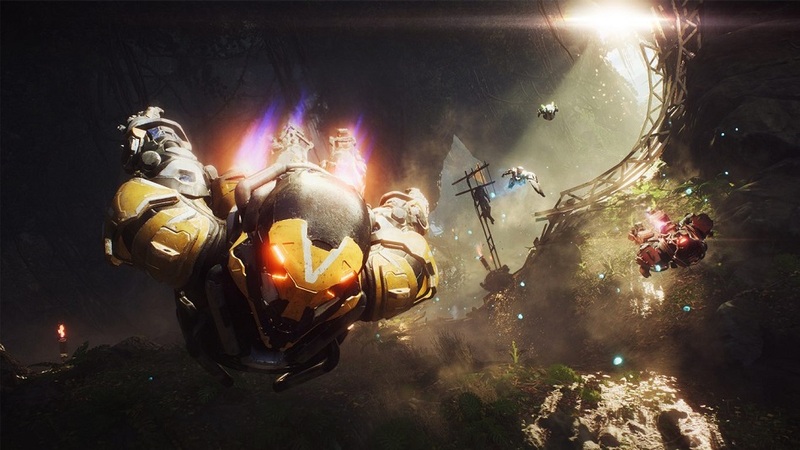 On top of all the waiting, Anthem is host to never-ending stability issues like getting booted off the server, losing all audio, and constantly being teleported to a restrictive mission area if teammates go too far ahead. Is this supposed to be gameplay? It feels more like punishment. Getting back to the story that I put on hold at the beginning of this review, frankly I almost forgot about it. There are a handful of characters with a hint of personality, like Owen, the main character’s oracle/mission director, but none of them have anything worth saying. 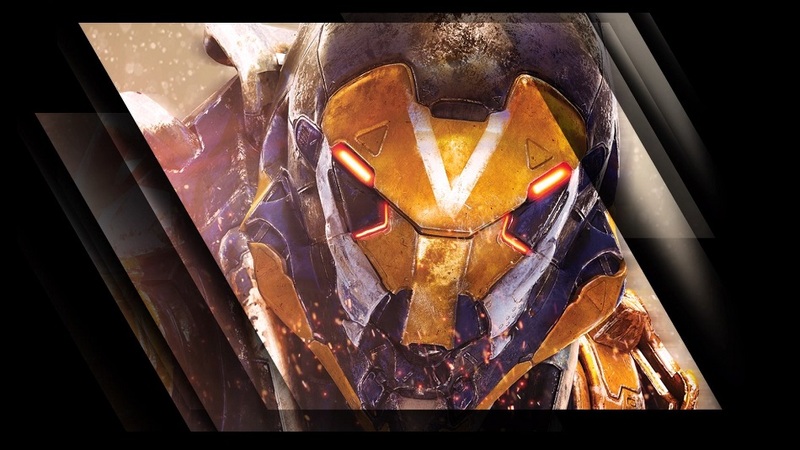 The mystery of the Anthem’s power is never explained, and the central villain is shown in (maybe) three cutscenes total before players get to the final fight. Such an absent antagonist utterly fails to motivate progress. 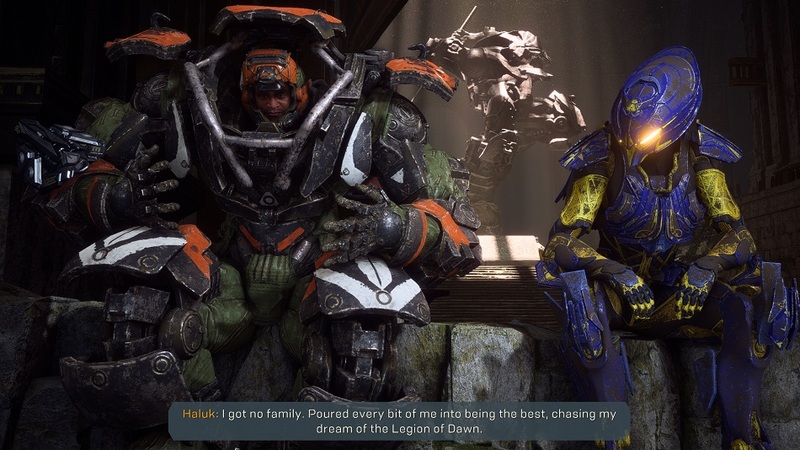 This lack of focus and motivation in the story makes it especially difficult to muscle through Anthem’s mid-game wall of filler. Around ten hours in, I was met with four sets of trials to prove I was worthy to enter some tombs. These trials each had four challenges within them like “open 15 chests” and “defeat 50 enemies with your ultimate ability,” which led to an extra four hours of absolutely meaningless gameplay. After completion, was I met with a new dungeon, a boss fight, or some worthwhile loot? Nope, just dialogue boxes saying that I could now continue playing the story. I can confidently say that I wouldn’t have completed Anthem if I didn’t need to write this review. 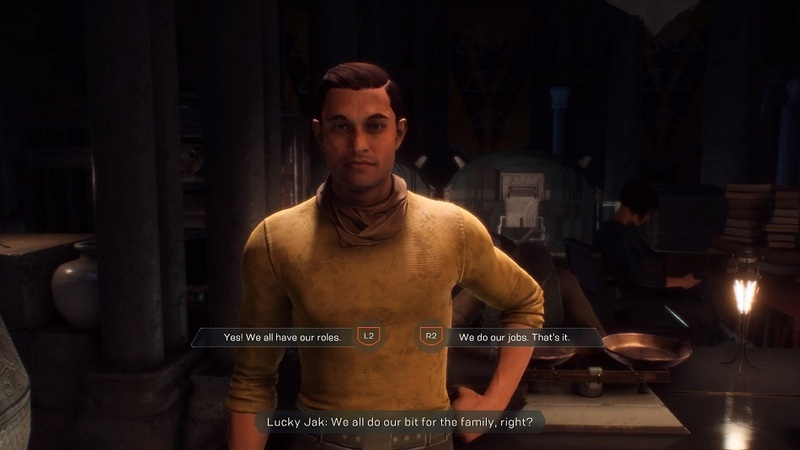 No amount of pretty environments or impressive flight can make up for the sorry, incomplete state this game was released in, and given the flimsy foundation BioWare has laid here, I’m not confident in Anthem’s ability to survive as a loot-based co-op service. Until there’s more content, variation, and stability, players should definitely steer clear of this one. Disclosures: This game is developed by BioWare and published by EA. It is currently available on PC, XBO, and PS4. This copy of the game was obtained via paid download and reviewed on the PC. Approximately 25 hours of play were spent in multiplayer modes and the game was completed. Parents: According to the ESRB, this game is rated T and contains Alcohol Reference, Language, Use of Tobacco, Violence, and Mild Blood. Some of the enemies are humans, but for the vast majority of the game, players will be gunning down and zapping bugs and alien humanoids. The only other flag I could see might be the occasional swear word, but it’s nothing alarming or grotesque, just exclamatory. 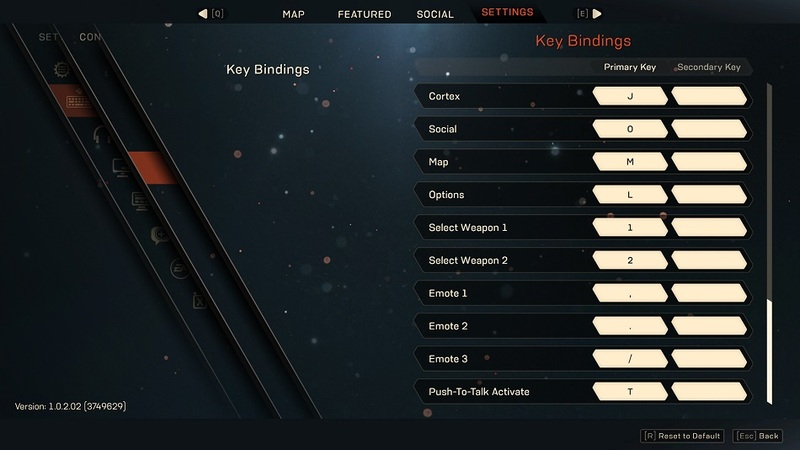 Colorblind Modes: There are colorblind modes available in the options. Deaf & Hard of Hearing Gamers: Anthem without sound makes the mess of it all even worse. Subtitles zoom by pretty quickly which makes it difficult to pick up dialogue over combat, but they are a good, readable (and adjustable!) size. There is closed captioning for some things like [worried screaming] and [panting] but they seem random. Gameplay-wise there is an indicator on the compass for enemies out of players’ line of sight, but they are EXTREMELY small and easily get lost when there are an ungodly amount of particle effects and abilities being used onscreen.